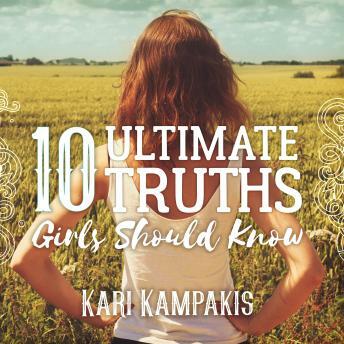 When Kari Kampakis wrote a blog post titled '10 Truths Young Girls Should Know,' the post went viral and was shared 74,000 times on Facebook and pinned 20,000 times on Pinterest. Obviously her message strikes a chord. This nonfiction book for teen and tween girls expands on these ten truths and can reach the hearts of both mothers and daughters. Filled with practical advice and loving support, 10 Ultimate Truths Girls Should Know is a timely and approachable list of guidelines that will help young girls navigate a broken world and become the young women God made them to be.